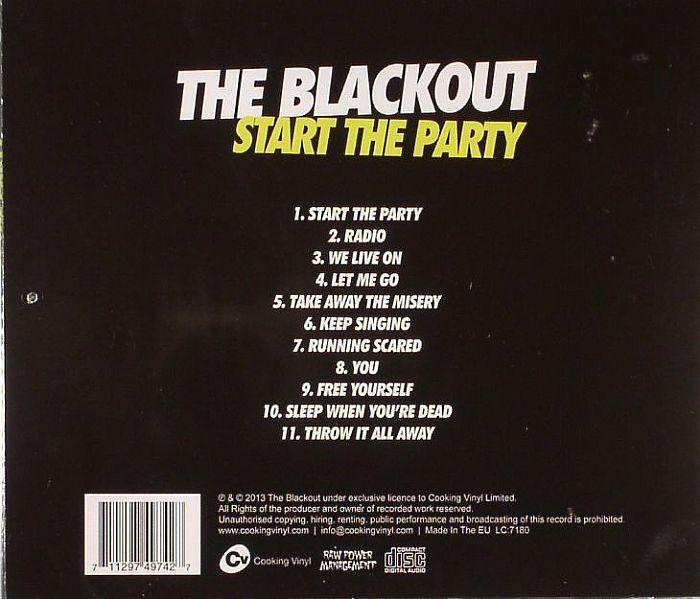 The BLACKOUT Start The Party vinyl at Juno Records. 5. "Take Away The Misery"
10. "Sleep When You're Dead"
11. "Throw It All Away"